After his side was hammered by 80 runs in the first T20I of the three-match rubber against New Zealand, a disappointed stand-in India skipper Rohit Sharma felt the lack of partnerships hurt his side’s chances during the run chase. An all-around effort guided New Zealand to a thumping 80-run victory over India in the first match of the three-match Twenty20 rubber at the Westpac stadium here on Wednesday. 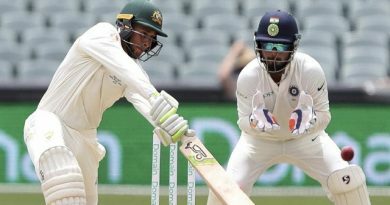 India lost their first wicket in the third over itself when skipper Rohit Sharma (1) was caught by Lockie Ferguson off pacer Tim Southee when the scoreboard was reading 18 runs. After a couple of overs, Shikhar Dhawan (29), who was connecting the ball well, was also sent packing by Ferguson. Dhawan played 18 balls and slammed two boundaries and three sixes. After Dhawan’s wicket, the New Zealand bowlers dominated the Indian batsmen as apart from Vijay Shankar (27), who was promoted up the order, Rishabh Pant (4), Dinesh Karthik (5), Hardik Pandya (5) flattered to deceive. 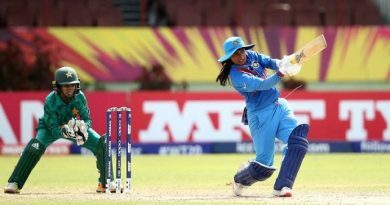 Wicketkeeper-batsman Mahendra Singh Dhoni tried to narrow the gap, slamming a few balls over the boundary rope with Krunal Pandya (20) but the Ranchi stumper was also dismissed towards the end. Dhoni played 31 balls and scored 39 runs, which included five boundaries and one six. For New Zealand, Tim Southee scalped three wickets while Lockie Ferguson, Mitchell Santner and Ish Sodhi chipped in with two wickets each. Earlier, New Zealand opener Tim Seifert’s quick-fire 84 got the hosts off to a flying start and saw them posting a huge 219/6. At one point, the Kiwis were 134/2 in 12.4 overs and it seemed that they will get past the 250-run mark but lacked support from the middle order before Scott Kuggeleijn (20 off 7) late fireworks helped the cause. Put in to bat, New Zealand openers Seifert (84 runs in 43 balls) and Colin Munro (34 off 20) got off to a brilliant start, thrashing the Indian bowlers all around the park. The duo slammed 86 runs in 8.1 overs before Munro, who smashed a couple of boundaries and as many sixes, was dismissed by spinner Krunal Pandya. Incoming batsman Kane Williamson then joined Seifert in the middle and continued the same scoring rate. The pair took New Zealand past the 100-run mark in no time. But just when things seemed good in the middle, Seifert was sent back by pacer Khaleel Ahmed in the 13th over. While trying to up the ante, the opener was clean bowled by the pacer. In his 43-ball stay, Seifert slammed seven boundaries and six sixes. Williamson continued the momentum with Daryl Mitchell (8) but soon after Mitchell’s wicket, Williamson also fell prey to leg spinner Yuzvendra Chahal. The duo departed in back to back deliveries. In the middle order, apart from experienced batsman Ross Taylor (23) no other batsman rose to the occasion as the scoring rate slowed down. However, Colin de Grandhomme (3), Mitchell Santner (7 not out) and Scott’s unbeaten knock lifted the Kiwis to a massive total. For India, all-rounder Hardik Pandya scalped two wickets conceding 51 runs.